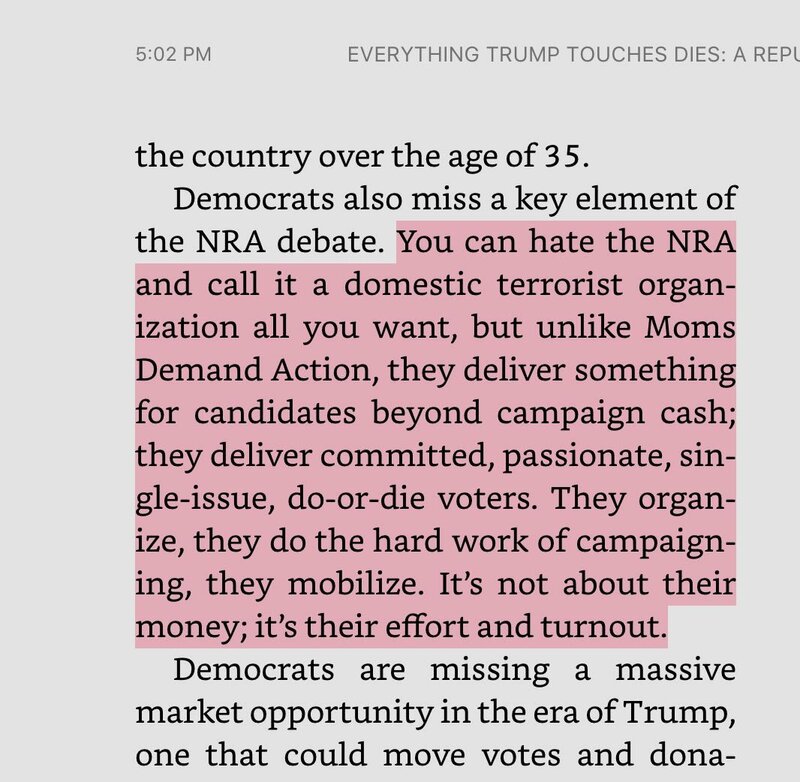 Thread by @shannonrwatts: "Rick Wilson wrote in his recent book that “unlike @MomsDemand, the @NRA delivers something beyond campaign cash; they deliver committed, pas […]"
Haven’t seen a single @NRA shirt while out canvassing this year... Haven’t seen a single pic of an NRA member-led phone bank or house party. But, then again, we rarely see them in statehouses either. 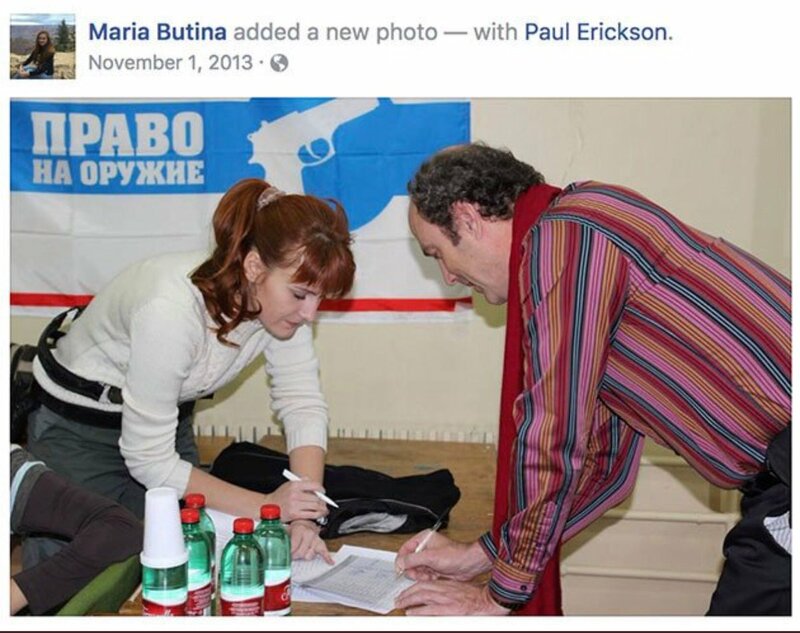 Just one lonely NRA lobbyist with a checkbook. But @MomsDemand volunteers have connected with 200K+ voters through canvasses and calls. We’ve given out 3K+ Gun Sense distinctions (meanwhile, the @NRA removed their past candidate grades from the Internet). And political candidates are now prioritizing this policy issue. 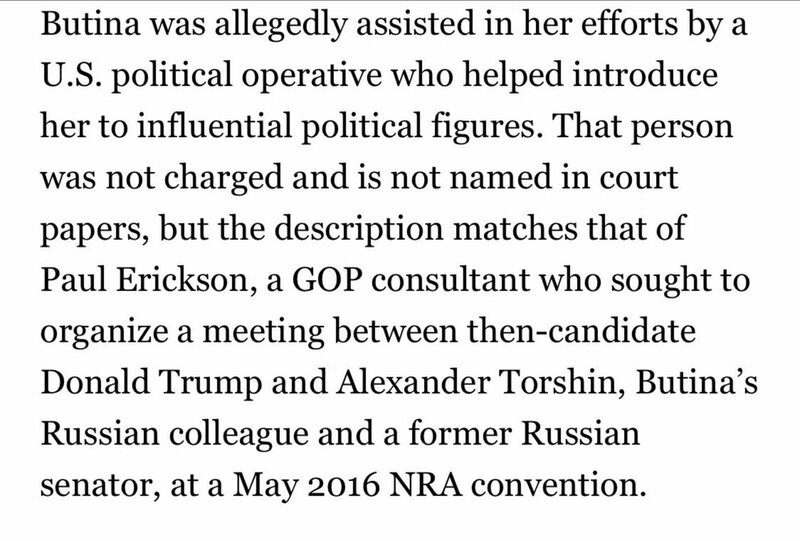 Mueller is investigating the alleged flow of ILLEGAL foreign (#Russian🇷🇺) money for @GOP campaigns via the #NRA. 1. Woke up and remembered the news about @Ocasio2018's victory last night. Called my 10-year-old, who's away this week, to share the news. A tween who begrudgingly went door-knocking in the hot sun, flashing her charming smile just to get a vote, finding out that it all paid off! 2. And then to hear her say: "Dada, it's just the primary. Ocasio can still lose the general." Pessimism of the intellect: it never gets old. Especially among the 10-year-old set! If you are serious about running for President, you know at least three years ahead of time (maybe even a whole cycle) to prepare yourself.